While I feel that Geocaching.com should hold the location for the cache owner and block other cachers from placing a cache in the area around this cache for a reasonable amount of time, we can’t do so forever. Nothing seems to happen with this cache listing, so it is now archived, so that someone else can place a cache in the area, and geocachers can once again enjoy visiting this location. Also, if it hasn’t been done already, please pick up any remaining cache bits as soon as possible. If the owner wants it reopened, send me an e-mail and I’ll be happy to unarchive the cache listing if it still satisfies the requirement/guidelines. Thore Horve (født 6. oktober 1899 i Stavanger, død 15. august 1990 i Oslo) var en norsk sjøoffiser og viseadmiral. Horve utdannet seg i marinen og etter fullført sjøkrigsskole i 1920 tjenestegjorde han på mange av marines viktigste fartøy. Under den tyske invasjonen av Norge i april 1940 lyktes Horve ved bruk av torpedojageren «Draug» å overmanne et tysk transportfartøy og føre det til Storbritannia. Under resten av andre verdenskrig tjenestegjorde Horve i den norske marinen i Storbritannia, dels som skipssjef og dels i stabsstjeneste. Fra 1946-49 var Horve sjef for Sjøforsvaret, men var kritisk til det han oppfattet som nedbyggingen av våpengrenen og gikk i 1951 over i sivilt arbeid. En periode på 1950-tallet bisto han, sammen med andre norske offiserer, Etiopia med oppbyggingen av landets marine. Etter dette fortsatte han sivilt som direktør i Norsk Philips. Thore Horve engasjerte seg sterkt for handelsflåtens og marinens veteraner og var sammen med Leif Vetlesen en drivende kraft bak den «ex gratia»-utbetaling Stortinget til sist vedtok i 1972 for mannskap i Nortraship. Thore Horve (born 6 October 1899 in Stavanger, died 15 August 1990 in Oslo) was a Norwegian naval officer and Admiral. Horve trained in the Navy and after completing the Naval Academy in 1920, he served on many of the most important naval vessels. During the German invasion of Norway in April 1940 succeeded Horve using torpedo destroyer "ghosts" to overpower a German transport vessels and bring them to Britain. 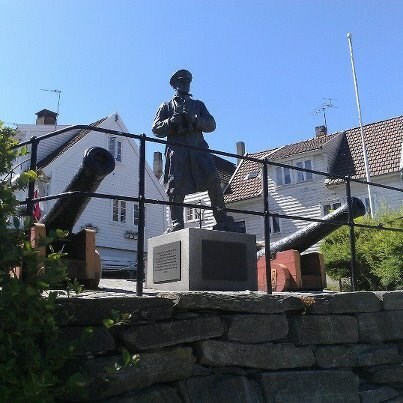 During the remainder of World War II served Horve in the Norwegian Navy in the UK, partly as a ship manager and partly in stabsstjeneste. From 1946 to 1949 was head of Horve Navy, but was critical of what he perceived as the dismantling of weapons branch and in 1951 went into civilian work. A period in the 1950s helped him, along with other Norwegian officers, Ethiopia with the reconstruction of the country's navy. After that, he continued as a civilian director of the Norwegian Philips. Thore Horve engaged strongly in favor of the merchant fleet and Navy veteran and was with Leif Vetlesen a driving force behind the "ex gratia" payment parliament finally approved in 1972 for the crew in Nortraship.